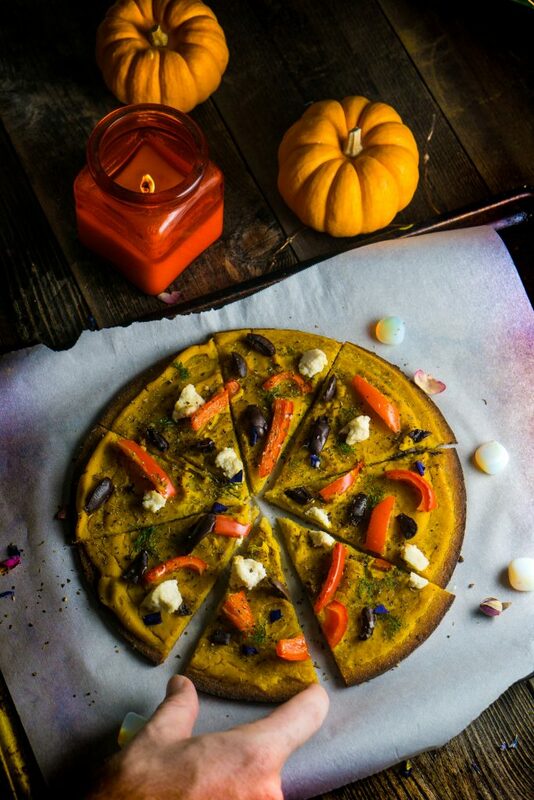 Kabocha Squash Pizza Sauce (vegan, paleo, gluten-free & body ecology) is the coziest & delicious recipe for autumn or anytime you are craving a specialty pizza.I’ve been taking a few cooking classes to learn new techniques, and I was inspired to make an autumn squash into the sauce. Using an autumn squash is a wonderful alternative to your typical tomato sauce. 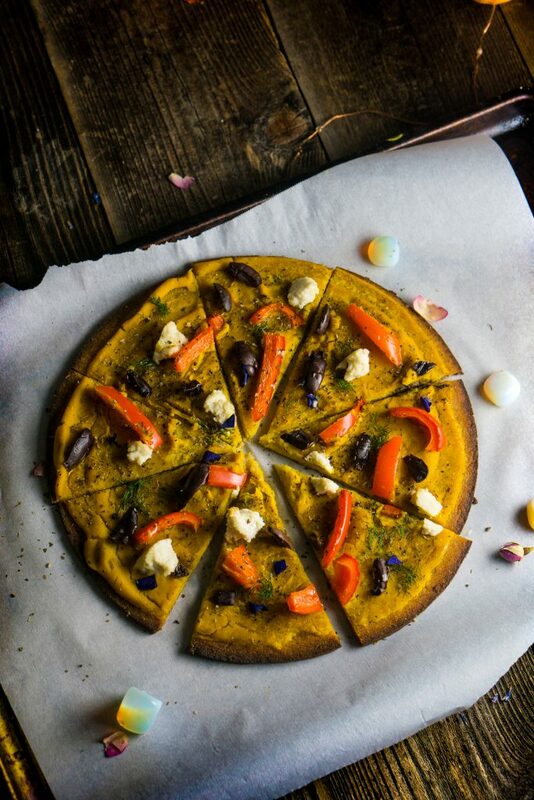 You can indeed use any of your favorite autumn squashes such as butternut, or an acorn squash just to name a few in place of the kabocha squash. Sometimes it can be easier to use what you have in hand versus running to every supermarket in town trying to find one specific version. 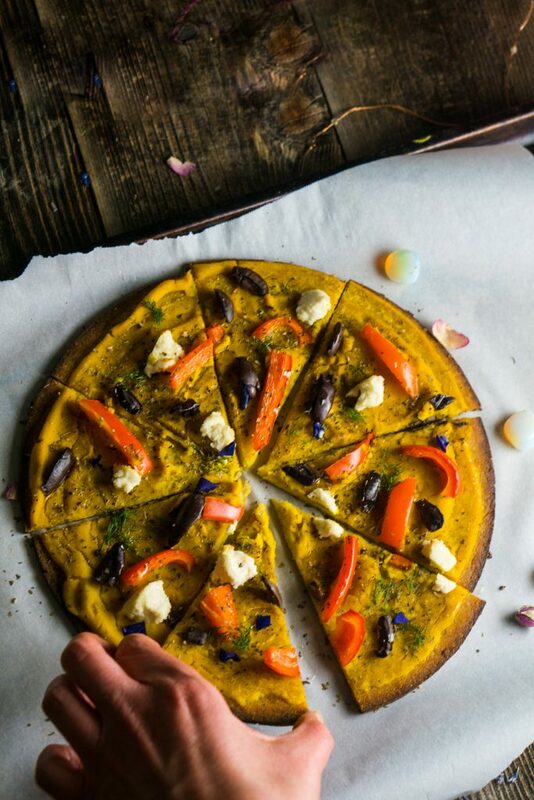 Reasons to LOVE this kabocha squash pizza sauce is because it is SO creamy, naturally sweet & savory, filled with vitamins and minerals. Feel free to use any autumn squash of your choice, for example, butternut squash, or acorn squash. If you love a more savory sauce add more garlic and herbs such as oregano and basil. You will have a lot of sauce leftovers, feel free to store for 1-3 days in the fridge, otherwise freeze in a glass jar to use at a later time. You can also repurpose the next day to make a soup or a side of your choosing. Roast your squash, I chose to put mine in my Instant Pot for 12 minutes with a 1/2 cup of water. If you don’t have an Instant Pot you can just slice your squash in half or in pieces until tender in your oven. Separate the squash from the seeds and skin. In a food processor or blender add all of your ingredients except for the chopped garlic if you want more to top. Blend until the sauce is very smooth. Add more oil or water if the sauce is too dry. Add more salt or seasoning to taste to adjust to your liking. 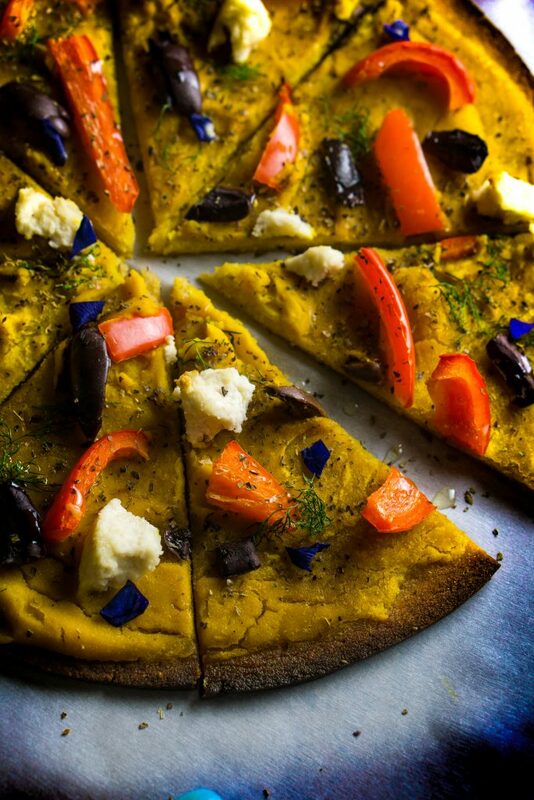 Add to pizza, add your desired topping and bake until done.